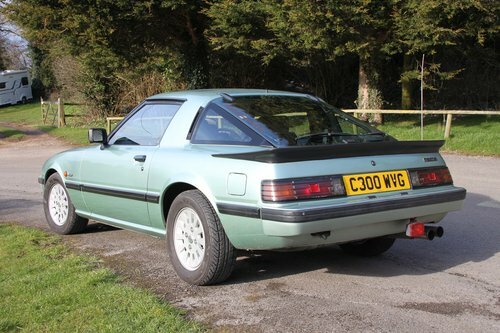 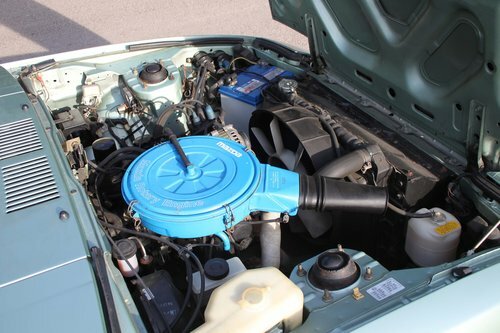 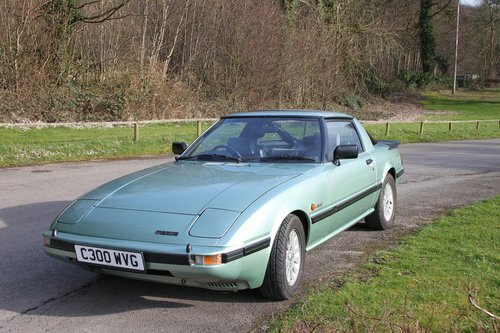 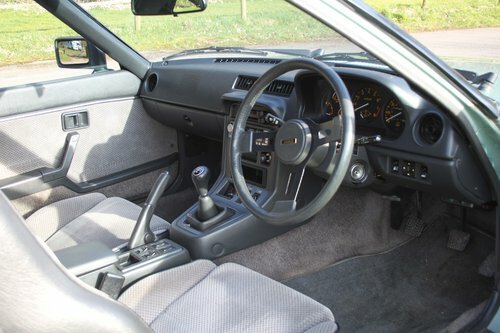 1985 ‘First Generation’ Mazda RX7, rotary engine 12A (equivalent to 2300cc), 5 speed manual, rear wheel drive, Manual steering (non-power assisted), Metallic, Opal Green, 74,500 original and genuine miles. 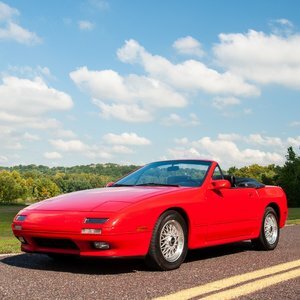 It has been in the family for 26 years, owned by me since 1992. 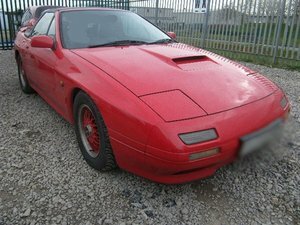 Always been garaged, in excellent condition throughout. 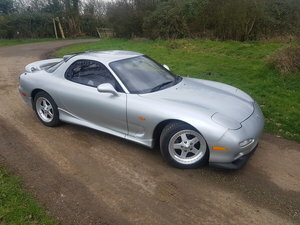 A stunning example of this rare sports car. 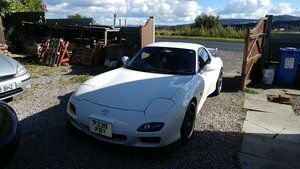 Will be selling with a new MOT. 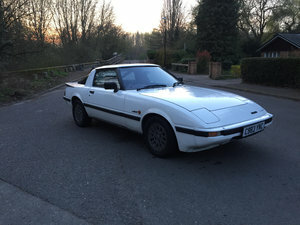 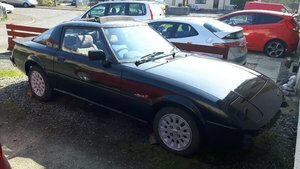 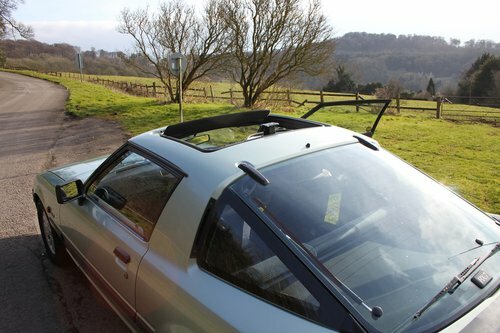 Original professionally refurbished alloys, quick-release removable sunroof, stainless steel exhaust, lots of service history, original Clarion cassette player. 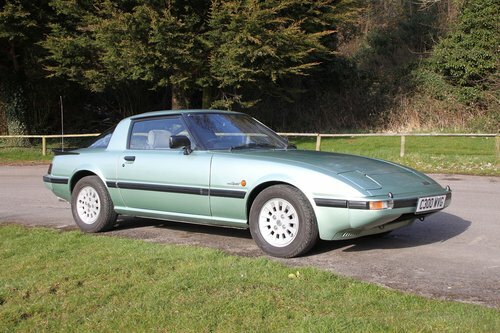 Due to this cars original superb condition and rarity, the asking price for this stunning sports car is £7,000.